The Sweetland Digital Rhetoric Collaborative is seeking reviewers for the 2018 Computers and Writing conference at George Mason University, Fairfax, VA. 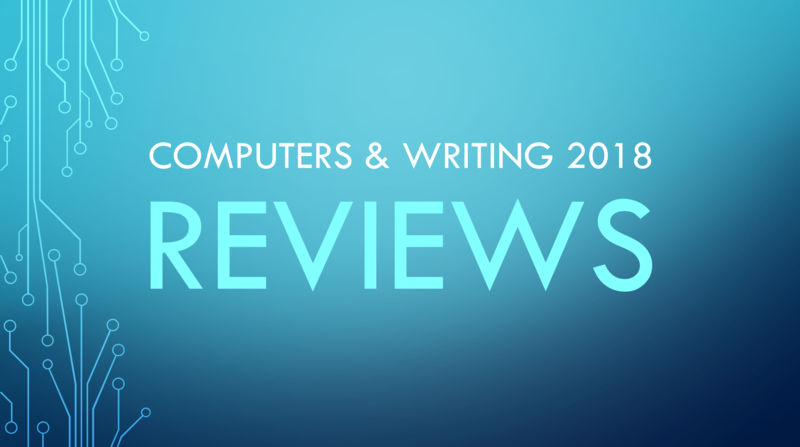 If you would like to be a reviewer for this year’s Computers and Writing conference, please visit our Google Spreadsheet to sign up for a keynote or panel session to review. Reviews are published on the DRC website to help facilitate conversations about conference sessions among attendees and others who may not have been present at the conference. Reviews can be composed in written text (500-1500 words) or in any other appropriate media as long as the information can be received by a user in 3-5 minutes. Your review should include an overview of the session, but should also address key implications, stakes, or take-away points. Please also make sure that if you offer relevant critique in your review, you do so in a collegial and constructive manner. We may edit received reviews or send reviews back for revision, if necessary. Feel free to refer to the 2017 C&W Reviews to serve as models. We will be handing out C&W reviewer cards at the conference this year. Please visit our table to pick them up and give the cards to the panelists/presenters before their session. Reviewers will receive an email close to the conference dates with information about the submission process. Reviews due: Monday, June 25. If you have any questions or would like more information, you can contact the DRC fellows at drcfellows@umich.edu. Jason is a PhD candidate in Rhetoric and Scientific and Technical Communication at the University of Minnesota––Twin Cities. His current research focuses on making and design thinking in writing pedagogy, multimodality, and emerging technologies such as wearables and mixed reality.